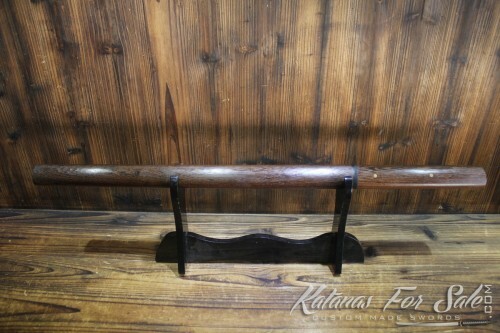 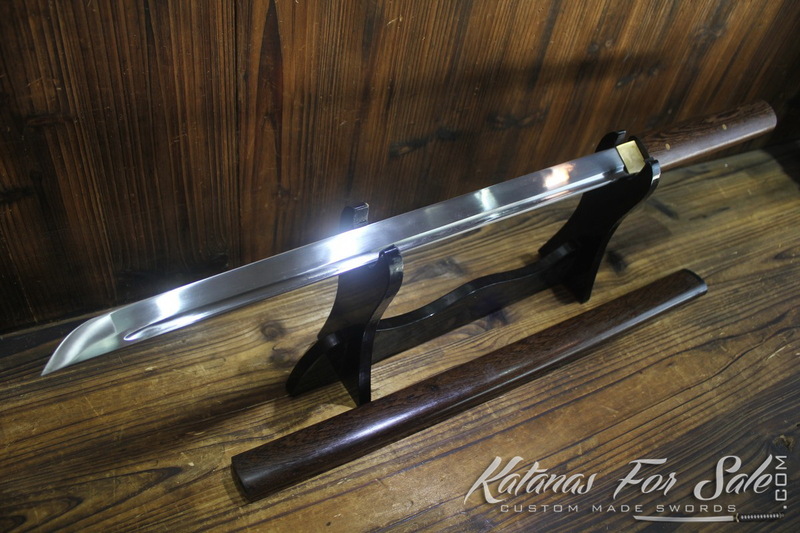 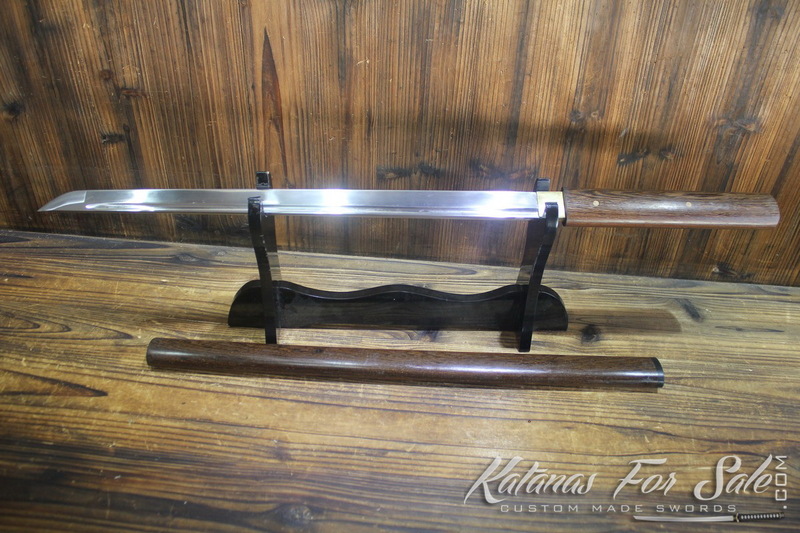 This is a fully functional Japanese Shirasaya Wakizashi Ninjato. 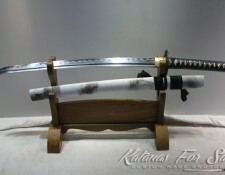 The blade of the sword has been constructed from high carbon steel and it is fully sharpened. 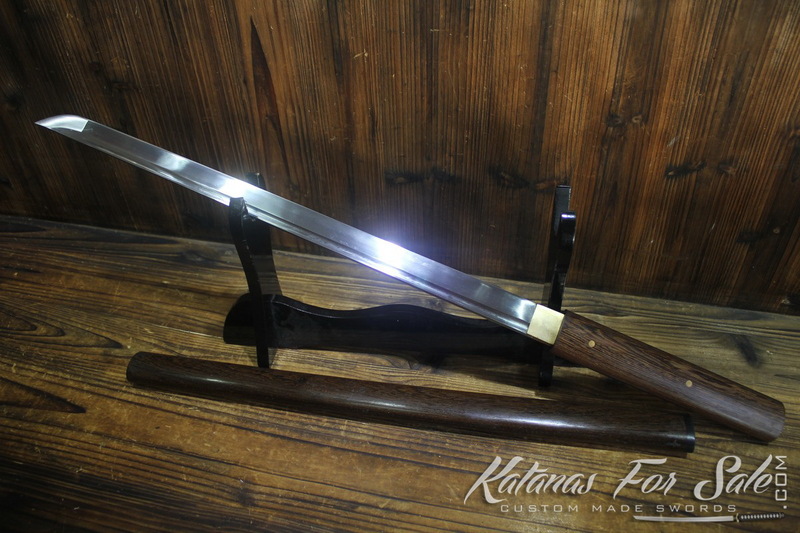 Categories: 1060 High Carbon Steel, Shirasaya For Sale, Wakizashi For Sale. 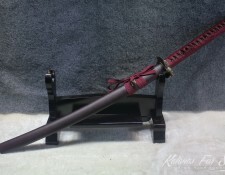 Tags: shirasaya, Shirasaya Ninjato, Shirasaya sword, Shirasaya wakizashi, Shirasaya Wakizashi Ninjato. 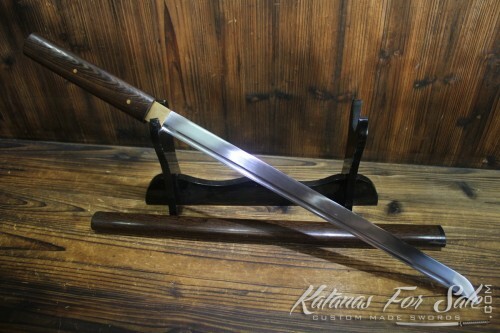 This is a fully functional Japanese Shirasaya Wakizashi Ninjato. 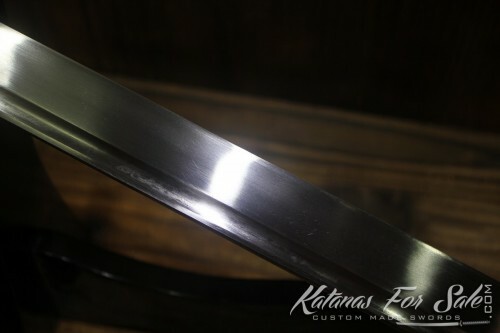 The blade of the sword has been constructed from high carbon steel and it is fully sharpened. This blade provides for safe drawing for the beginning practitioner of the 450 year old art of Iaido. Forged from carbon steel, the tempered blade provides the correct weight and balance needed for the rigors of repetitive drawing and sword motion practice. Each blade has a deeply cut groove (bo-hi) to provide audible feedback when swung properly. 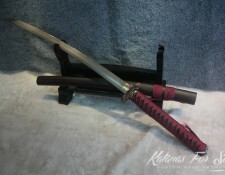 Blade: The blade of the sword has been hand made with High Carbon Steel. The Carbon has been hammered throughout the blade so that it has a universal hardness throughout the entire blade. 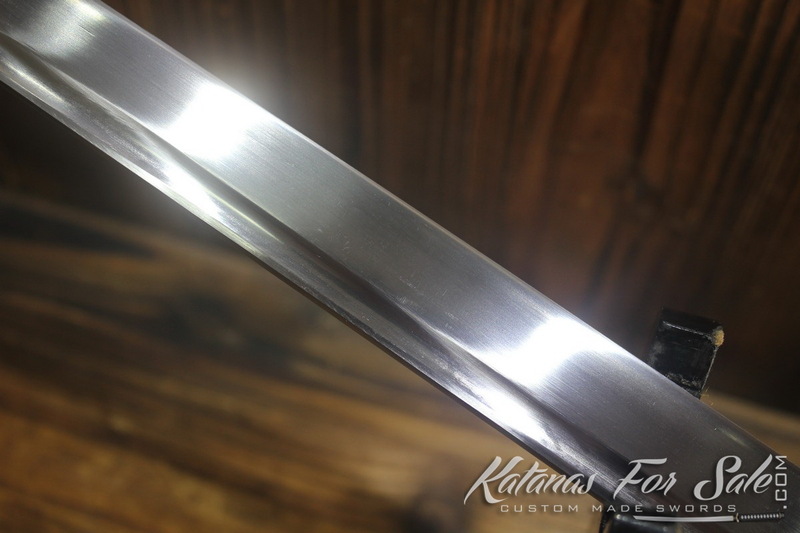 A bloodline has been added to the top of the blades to decrease the weight of the blades and give audible feedback when swung. 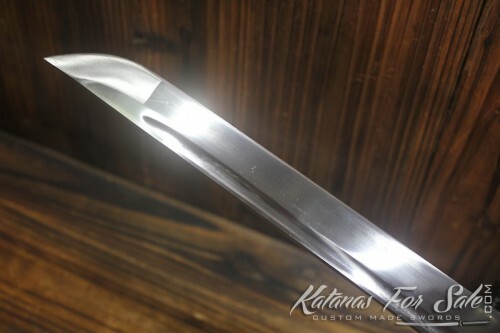 The blade also features a kissake, a thin edge already sharpened. It can be used for drills, practice and test cutting. 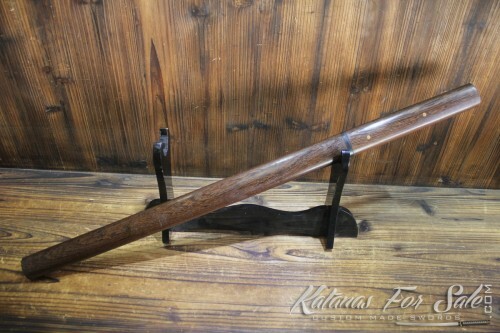 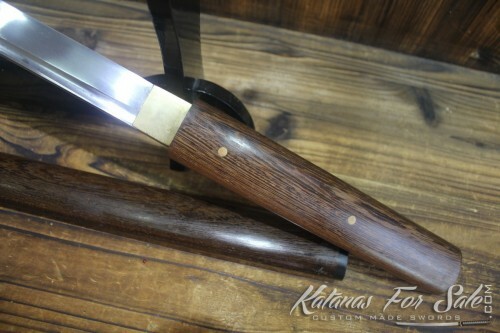 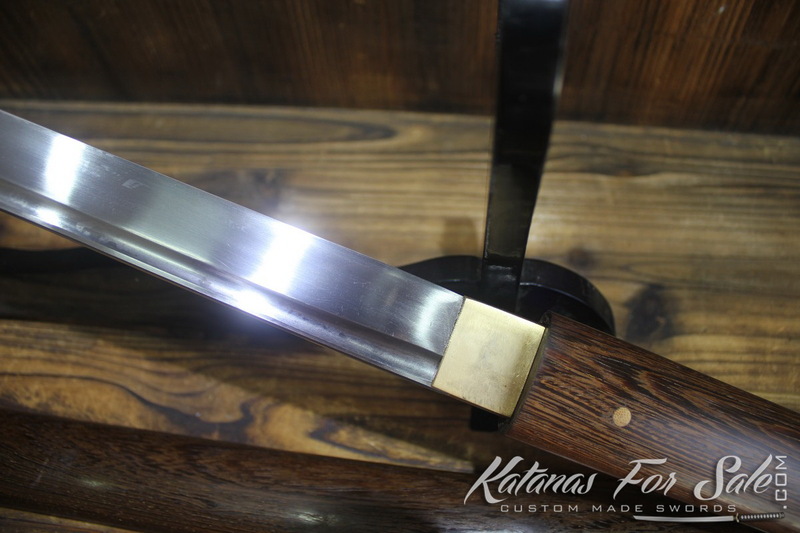 Saya (scabbard): The scabbard has been constructed from high quality rosewood with a natural finish. 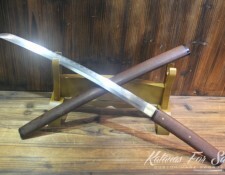 When the Shirasaya sword is sheathed the handle and saya appear to be one solid piece.